I had these babies in my desk waiting for the right time. 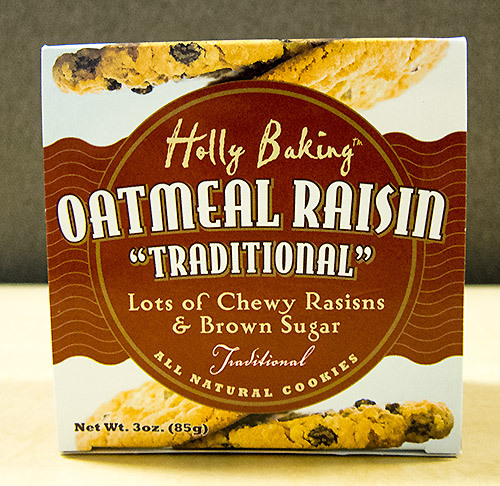 Well, the right time to eat Holly Baking’s Traditional Oatmeal Raisin Cookies would be as soon as possible. The cookies are flavorful with a perfect balance of sweet, raisin, and dough.